Be inspired by the stunning range of Flutestyle natural timber linings. Flutestyle timber linings can be installed on the walls, on the ceiling, or anywhere you want to create an impressive timber feature... the options are limited only by your imagination! 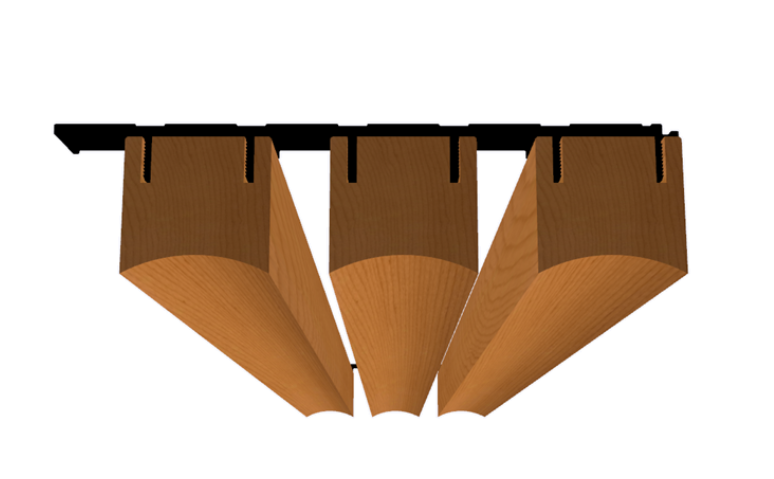 Flutestyle SS2771 features solid timber scalloped battens that are 40mm wide. Flutestyle is also available in other shapes and profiles - scroll to the bottom of this page to view the other profiles. Featuring an exclusive clip system, Flutestyle screens are simple to install, and can be cut and customised on site without having to be calculated and ordered in prefabricated panels. Our prefinished Flutestyle modular screening system is supplied in two components: black, secret-fix aluminium clips and lengths of prefinished timber. It can be installed in both vertical and horizontal applications, on walls or ceiling surfaces. Cedar West’s Flutestyle screening system is milled from genuine timber and is available in specified lengths. Flutestyle screening systems are ideal for both internal and external applications including patios, alfrescos, porticos, feature ceilings, bulk heads etc. Flutestyle profiles can be mixed-and-matched to create your own combination. 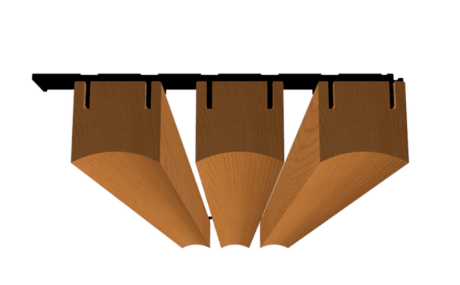 Flutestyle SS2771 features scalloped, solid timber battens that are 40mm wide. Secret-fix to battens with an exclusive clip system. Available in raw cedar or prefinished in natural cedar or walnut stain*. 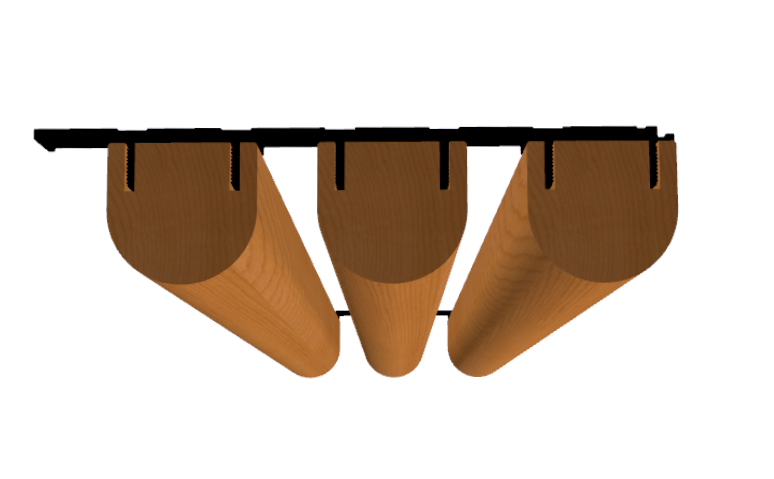 Flutestyle lining system is supplied in two components: black aluminium clips and lengths of solid timber (battens). Flutestyle profiles can be mixed-and-matched (eg 50% rounded + 50% scalloped). Clips are 20mm wide and 172.5mm long (with a 168mm cover). 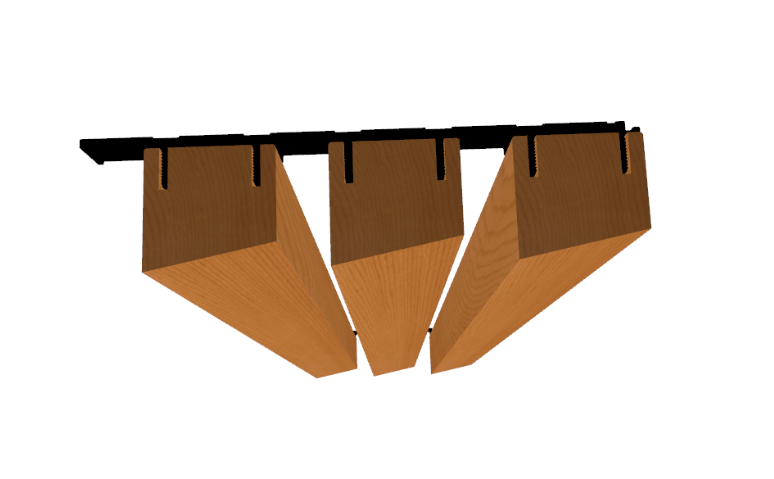 Each clip can be fitted with 6 x 12mm battens or 3 x 40mm battens (or a combination). Recommended rafter spacing for clips is 600mm. 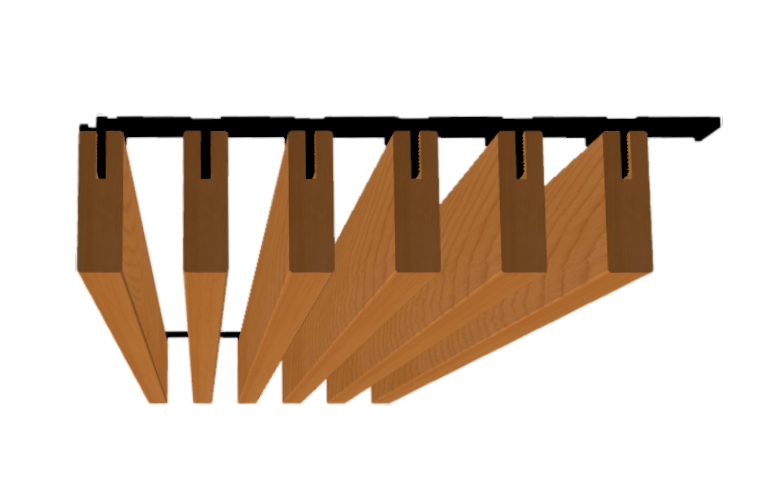 Battens are attached simply by pushing the timber into the clip*. Flutestyle is suitable for both internal and external applications*. *For areas that have direct or reflective UV exposure, we recommend that you select raw cedar (not prefinished) and apply a coating or oil that is suitable for use in high UV areas. It is also recommended that an external-grade adhesive is used when installing the batten onto the clip.